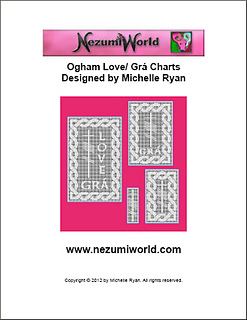 Contains this and 4 charts in different sizes. 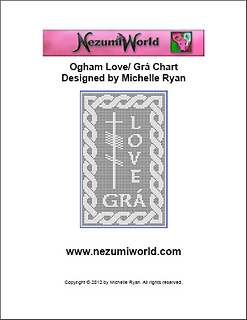 Ogham writing is an ancient Irish script it is often found inscribed on standing stones throughout Ireland. 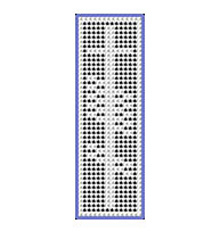 The size of the finished piece will depend on the yarn used and type of filet stitch grid you make. 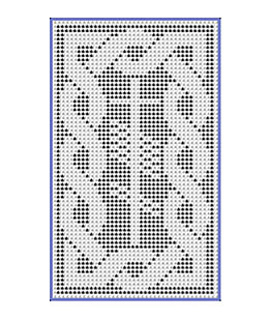 I have included the basic instructions for making a 1 X 1 filet grid and a 1 X 2 filet grid. The sizing information is for a 1 X 2 filet grid. 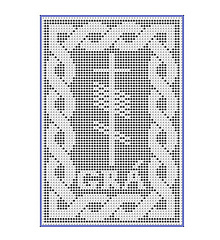 Remember you could also use the graphs for tapestry crochet, beaded crochet, tunisian filet crochet, embroidery even knitting!